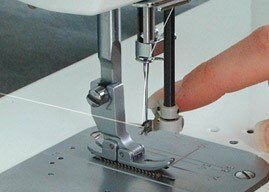 Sensible and straight-forward Jane is a straight stitch machine with a speed of 1,500 stitches per minute. She is entrepreneurial and business-minded to help you achieve your goals. And with the extension table and Precision Feed System, you can create to your project’s needs. Jane is the hard-working friend you’ve been waiting for! 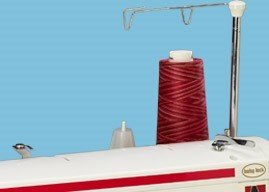 Reliable and solid, Jane will be a good partner for anyone interested in sewing. Jane has mastered the straight stitch, making her especially helpful for garment sewing and quilting. She even comes with a bright LED light to help users see the details of their projects. Bobbins are easy to access and change quickly. The thread cutter is built in. QTS needle threader makes easy work of threading the needle. 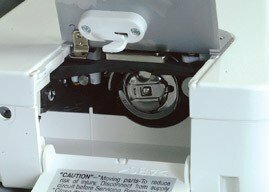 Eliminate errors with the detachable presser foot lift, which raises the presser foot with a tap of the knee, leaving both hands free to quilt. 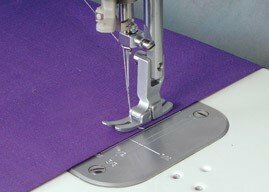 The Precision Pin Feed System makes it easy to sew on a wide variety of fabric thicknesses. 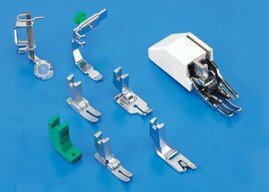 Use professional techniques with this comprehensive collection of feet, including a 1⁄4” foot, free motion quilting foot and a walking foot. 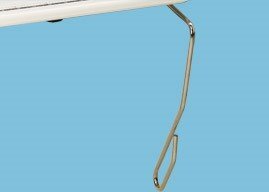 This telescoping stand can handle even the largest spools of thread for any size project.